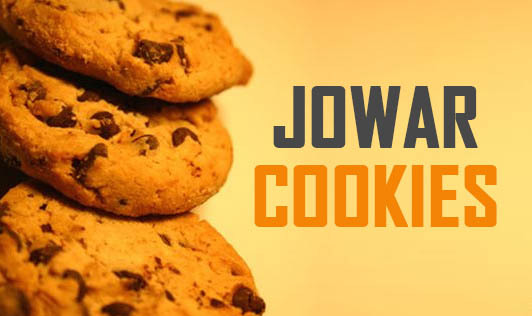 Bored of the same old cookies available in the market? Try this cookie recipe with healthy nutritious date and cashew nuts. This iron-rich snack will improve your child's brain functioning and overall development. 1. Combine the dates and ¾ cup of water in a deep pan and bring to a boil. 2. Lower the flame and cook for another 10 minutes or till the dates are fully mashed. Keep aside to cool. 3. Combine the soya flour, jowar flour, butter and sugar in a bowl using your fingertips till the mixture resembles bread crumbs. 4. Add the date mixture, cashew nuts and cocoa powder, mix well and knead it into semi-stiff dough. 5. Cover and refrigerate for 15 minutes. 6. Divide the dough into 10 equal portions and roll each portion into a small round. 7. Grease the baking tray lightly with butter and bake in a pre-heated oven at 180°C for 30 to 35 minutes.